Everybody stay calm! 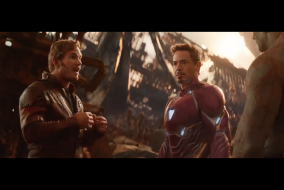 Another “Avengers: Infinity War” trailer has dropped! LOOK: This year’s Bb. Pilipinas national costume line-up + hilarious captions! Fashion Stylist Liz Uy is now a mom! Cristalle Belo & Justin Pitt are expecting their first child!